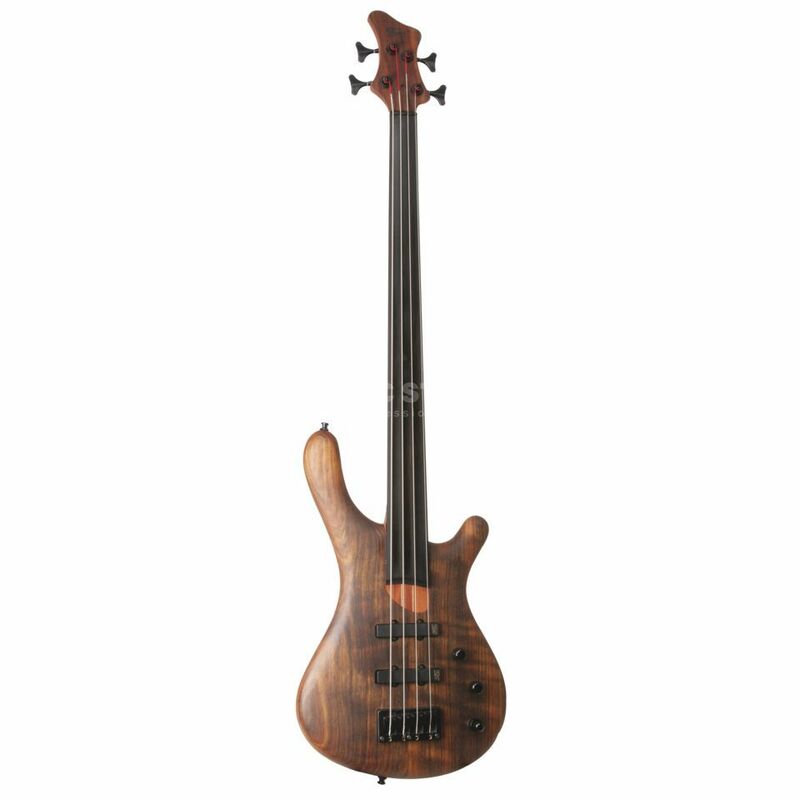 As a fretless versions also a top-seller … unfortunately not always directly available, because these basses are made in small series by hand … so get in line! The good news is, if you have any special custom requests … no problem … our luthiers in Danzig can do it all … and for a low price! Just let us know what you want, for example; personalized fretboard inlays or other pick ups. The instruments of the Baphoment Series can easily compete in the professional leagues and impress with luxurious features and the use of high quality materials. Ultimately, these premium bolides aren’t mass produced on an assembly line in the Far East but are completely, individually made by hand from experienced luthiers in the premium guitar and bass foundry of M-Guitars in Danzig. In fact, they don’t see a single machine. Each instrument goes through precise and extensive quality controls and testing, to ensure that every instrument that leaves the shop is of the highest standard possible. The current version of the Baphomet has been equipped with lighter WSC-Mechanics and a new bridge, which was praised by the industry press as having a construction style that is “absolutely genius”. The carefully designed Baphomet is verified by its tight, strong sound. Finally, with their comfortable form and at such a low price, this could be your future love affair with no regrets. It comes with roundwounded strings, which I replaced with flatwounds, and the instrument is still able to rock out! The instrument weights around 4kg, it is a quite heavy one, but it is surprisingly comfortable to play! buy this instrument, it is full of love and sounds!